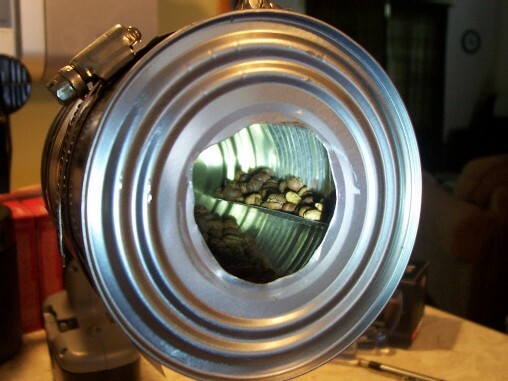 Here are some photos of my homemade sample roaster. 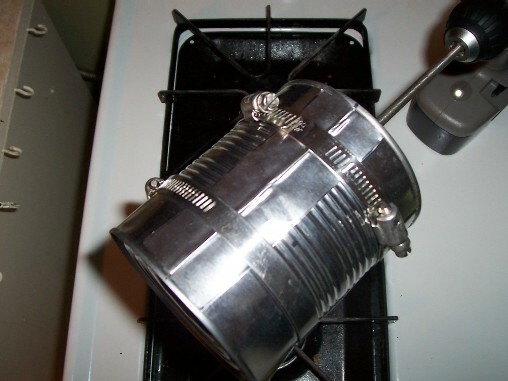 It is constructed of a soup can, disposable oven liners (for the mixing vanes) and some stainless steel pipe clamps. 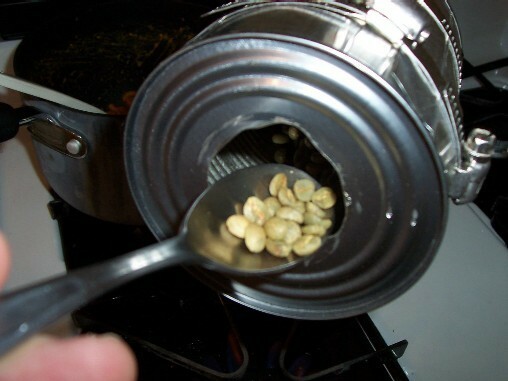 I made the drum by cutting the large hole for adding and dumping beans as well as pulling samples with a metal spoon. I added a small hole in back for the threaded rod, which goes into the drill. I cut slots in the can using my Dremel tool and folded the oven liners to form vanes. I slid these into the slots and folded flaps down to lay against the outer drum wall so then I could use the clamps to firmly hold them in place. Worked like a charm. Roasting is simple. 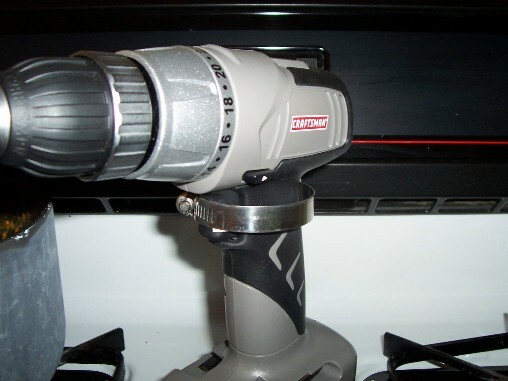 As you can see I simply stand the drill on my stove with the drum over the burner. The burner has no problem (even on low) heating the drum. I run the drill by using a pipe clamp over the trigger. I have added another large can (with the top and bottom removed) on the burner to condense the heat going up to the drum (photo below). 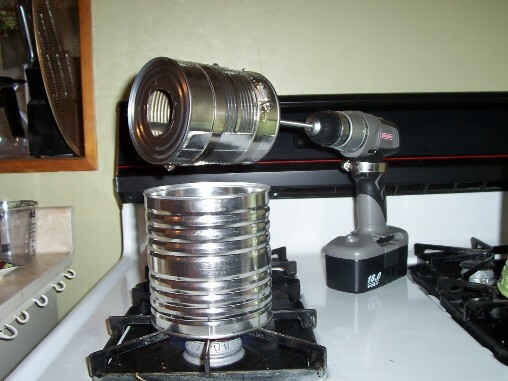 Cooling is equally as easy, I simply pick up the drill and dump the beans into a colander. Simple as that. I spent less than 10 bucks and thirty minutes building the drum. The drill and Dremel tool I already had. This is a simple to build and very sturdy drum. I was worried about adding slots for vanes, but the can remains very strong. I can squeeze it very hard before it will flex! I have tested the drum with 60g of green beans and there were no problems. I was able to reach Vienna Roast level in 13 minutes (a little quick) but that proves that I have the ability to reach good roast levels so now I can experiment with slower roasts! Check out this discussion for some excellent variations on the SCR. Others have taken their own approach and have come up with some very interesting roasters! I have modified the original smaller drum to mimic the foil funnel of the larger drum. I did this because the larger drum will only hold about 120g of greens before the drill becomes unstable standing up on its own. But with this load the bean mass is mixed so well that there really is no mass. Watch the video above of the larger drum and you can see what I mean. So I wanted to get the functionality of the larger drum but keep my beans together to form a more coherent mass for temperature taking (going to try my thermocouple). I'm not going to add more photos or videos because it's simply the smaller drum made in the same style as the larger one. To make it I removed the pipe clamps and then cut off the top (the loading end). I wrapped the entire drum (with vanes still installed) in several layers of aluminum foil. I then reattached the pipe clamps and trimmed the foil (and turned it back) to form the opening just like the one on the larger drum. 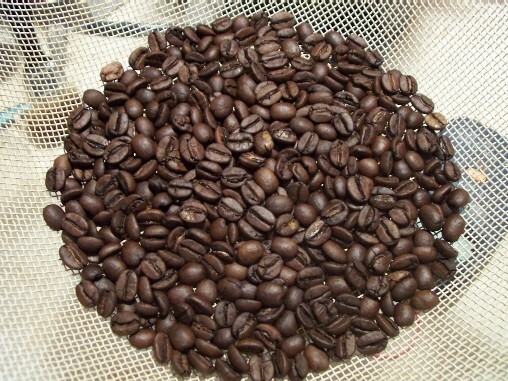 The smaller diameter of the drum (and lighter weight) should allow me to use slightly more beans and achieve a more uniform bean mass during mixing without adding a lot of cost or effort to making this roasting drum. Like I have said this is really a sample roaster for doing small test batches. I only consume about 32g of roasted coffee a day (1-3 mugs of coffee) so this roaster suits my needs very well (enjoying roasting every few days). The trade off for this roaster is complete roast control with ability to pull samples and monitor bean actual bean temps but on a relatively small batch size. If you go through a pound or two a week this set-up may not be suited for you. But if you have a larger drum roaster and want to experiment with different roast profiles but don't want to risk larger batches this is the ticket! 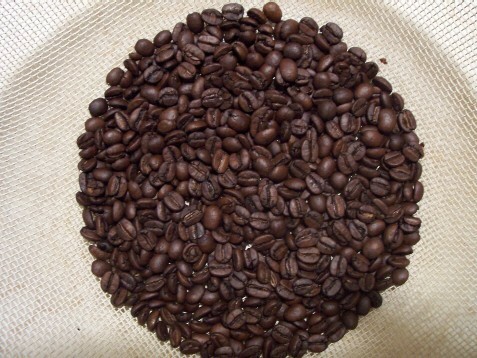 Once I find a roast I like in the SCR I translate that to the RK Drum where I can do several pounds at once (wouldn't want to risk several pounds on experimentation)! On to the pictures! Note these are before the aluminum foil wrap mention above in the "Update" section. Enjoy! Pulling a sample with my teaspoon "trier!" Here is a 60g finished roast! Vienna in 13 minutes! Here is a 100g finished roast! Vienna in 13:30 minutes! Visitors since January 25, 2007!